Get to work writing your smuttiest poetry with this kit. 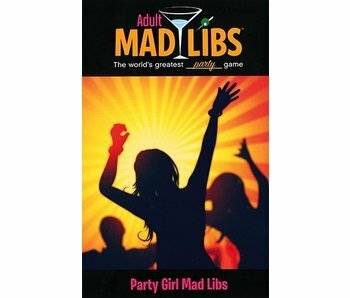 This mini kit of magnetic poetry allows you freedom of expression like you never thought possible. Simply find a magnetic surface such as a fridge, filing cabinet, or a cookie sheet that you can leave on the bed, couch, car seat, etc. and get to work writing your smuttiest poetry. Approximately 72 smutty words in an adorable little gift tin. 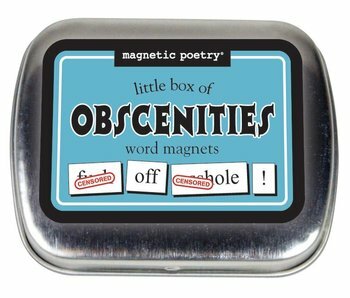 Find a magnetic surface and write your most obscene poetry. 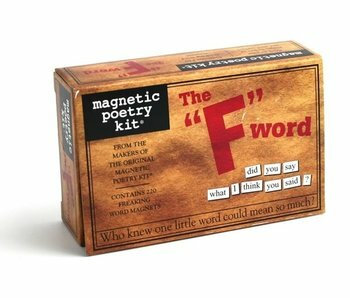 Write all the friggin' poetry you want with this kit of 240 magnets. The words in this little tin have a lot to say about passion!